On a snowy February day I made a pivotal decision in my journey to becoming a bona fide storyteller. While stirring my grande pike’s at Starbucks, I saw the poster announcing auditions for the 2015 Listen To Your Mother Baltimore Show to be performed on May 9. Listen To Your Mother (LTYM) “features live readings by local writers on the beauty, the beast, and the barely-rested of motherhood, in celebration of Mother’s Day in over 40 cities across the U.S.” I auditioned…drum roll … I was in! 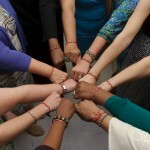 Part of a posse of cast sisters who share the common bonds of motherhood–as in we have mothers, are mothers, do not or do want to be mothers. Through rehearsals I came to know these fine women in a very intimate reveal of our souls. It was amazing how quickly the walls came down and the hugs flew as one by one, we listened with awe, empathy, tears and laughter at our stories. 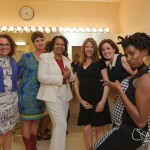 We are a vibrant, collective voice of our intensely beautiful, poignant experiences of mothering’s joys and struggles. Some of our stories are gut wrenching. Some are hilarious. Some are both. On the BIG DAY, our families and friends sat in the auditorium waiting eagerly for our shining star moment. 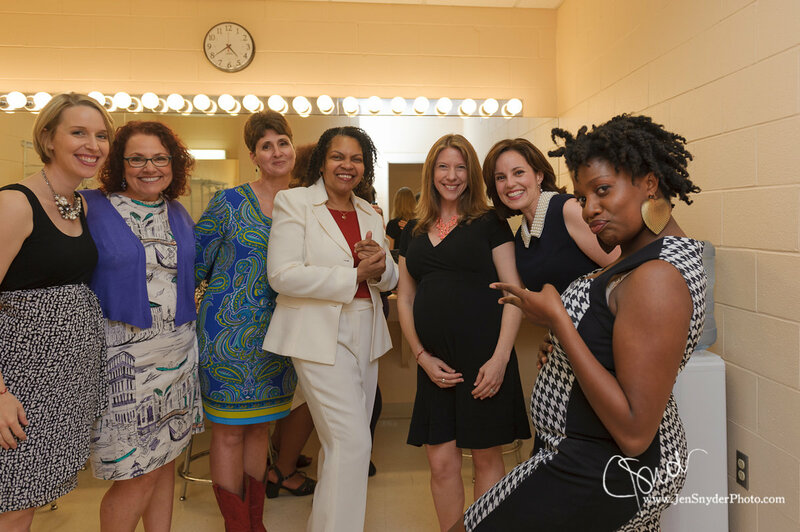 There were plenty of laughs pre-show as we gals gussied up in the dressing rooms. Lovely producers Taya and Arlene kept us focused and pumped up. 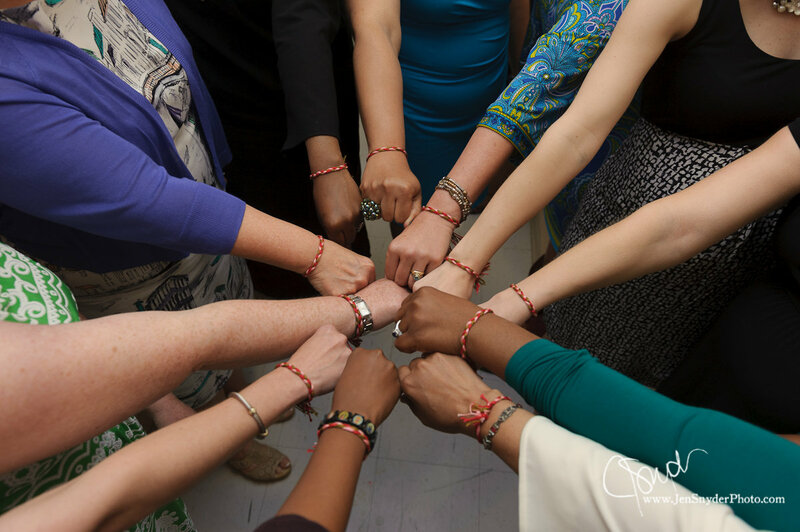 Arlene gave us a most special blessing as we held hands in a circle of love that our words would find root in the hearts of our audience who most needed them. 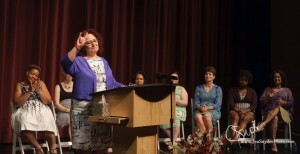 When my turn came at the podium, I was uber-emotional since my sons were in the audience with my darling husband, future son-in-law and good friends. It was the first time I publically shared Adam and Alex’s coming out story. It is at turns raw, honest and funny. I got through it forgetting everything I’d learned about public speaking/performing. But that didn’t matter because it is my love story for my boys. Momma Bear on the scene, tender heart and all. 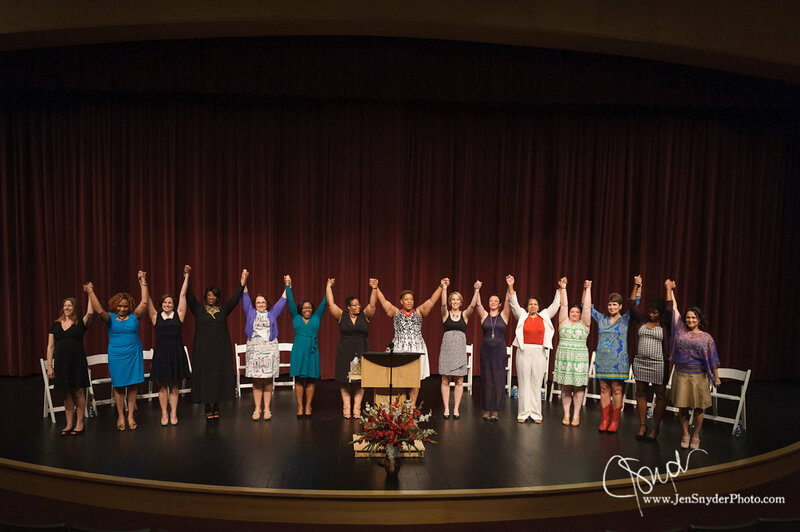 With the utmost respect and love, thank you to my LTYM 2015 cast sisters Heather Pulliam Belcher, Elisabeth Budd-Brown, Lisa Brown, Kim Fossum, Heather Leah Huddleston, Laura Ivey, Arlene Jackson, Taya Dunn Johnson, Taylor King, Kristi Koumentakos, Anne Mathay, Katie McLaughlin, Michelle Reale-Opalesky and Michelle Smith. Special thanks to LTYM founder Ann Imig for your brilliance and passion to create an organization that gives motherhood a voice. Jen Snyder, thanks for your keen eye and elegant photography that captured our day for eternity. You women lift me up with your bravery, grace, wit, wisdom and compassion. I treasure each of you! So here, for your viewing pleasure is our 90 minute show. FYI, this show was on May 9, prior to our excellent U.S. Supreme Court’s national decision on June 26 legalizing gay marriage—#LoveWins! I never doubted it for a minute.